The Rosebay Rhododendron is an evergreen multi-stemmed shrub with dark green foliage and clusters of white flowers. These shrubs grow wild in many mountain habitats where they can form dense thickets that can be up to 30ft tall. A more typical mature landscape size, however, is about 10-15ft tall and 7-10ft wide. 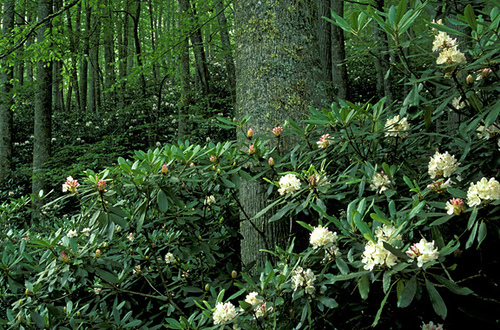 The dense growth and evergreen foliage of these rhododendrons make good borders or screens in a landscape. The growing habit is fairly irregular which gives the plant an interesting structure. Because of this unique structure, branches from this plant are often cut and used to make furniture. Rosebay Rhododendrons also have clusters of white to pink flowers that can be made up of as many as 25 flowers, each about 1” across. 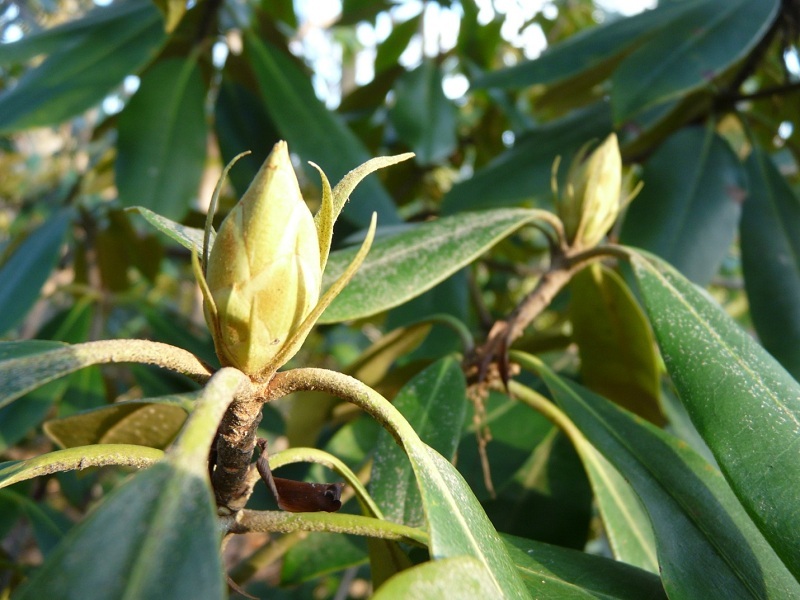 Plant this rhododendron in partial to full shade in areas with moist but well-drained soils. While the flowers provide a brief show in spring, the real landscape benefits of the Rosebay Rhododendron can be found in its deep, evergreen foliage creating an ideal backdrop for some of the showier plants in the home landscape.